On the occasion of the FIW Research conference Professor Elhanan Helpman (Harvard University) discusses the relationships between trade shocks and wage and income inequality. 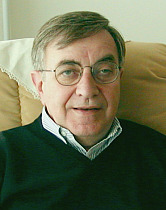 Elhanan Helpman is the Galen L. Stone Professor of International Trade at Harvard University and a member of the International Advisory of the Vienna Institute for International Economic Studies (wiiw). He is one of the most outstanding contributors to new trade theory, trade policy analysis and endogenous growth theory. Professor Helpman was awarded numerous distinctions and prizes for his seminal research on international trade, economic growth and the political economy of trade policy.